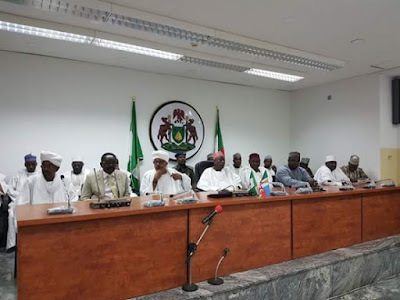 The government of Sudan has awarded full scholarships to 91 indigenes of Kano state, to study various degree programmes at a public university in the country, the International University of Africa, Khartoum. Already, 41 students have departed under first batch of the programme while the second batch of 50 students will depart the country from next Wednesday. Addressing beneficiaries of the scholarship at the Government House in Kano, the state governor, Dr. Abdullahi Umar Ganduje said the programme would go a long way in adding value to the effort of his administration to make the state’s economy knowledge driven. The governor asserted that the initiative could not have come at a better time than now when Nigeria’s economy is facing challenges and the state government is finding it difficult to pay the bursaries of its students abroad. He, therefore, urged the beneficiaries not to squander the precious opportunity but to be good ambassadors of Nigeria by devoting time to academic excellence and exemplary conduct. “You have nothing to reward the government of Sudan but to pray for the progress of that county since it is from their public treasure that your education and welfare are being financed”, governor Ganduje urged the students. 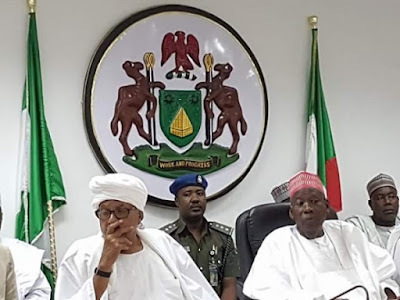 Governor Ganduje expressed appreciation to the government of Sudan for sponsoring the education of students from Kano who have demonstrated exceptional potential to learn, noting that the investment in learning would yield plentiful results. In his remarks, the Sudanese Consul in Kano, Sheikh Muhammad bn Othman el-Tayyeb explained that the scholarship was offered to deserving students from Kano to advance cordial relations between Kano state and Sudan. He explained that the students would pursue degree programmes in Medicine, Dentistry, Nursing, Medical laboratory Science, Islamic Law, Computer Science and Mass communication and at the same time learn Arabic in addition to memorizing at least one quarter of the Holy Qur’an. 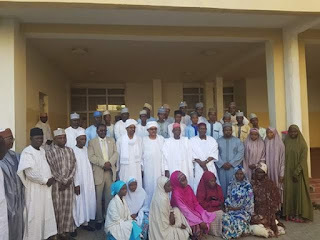 Sheikh El-Tayyeb added that the scholarship scheme is in line with the commitment of the Ganduje administration to provide quality education to its citizenry, adding that on successful completion of their degree programmes, beneficiaries of the Sudanese scholarship would contribute immensely to the economic progress of Kano and Nigeria as a whole. » Sudanese woman gets death sentence for marrying a Christian man.